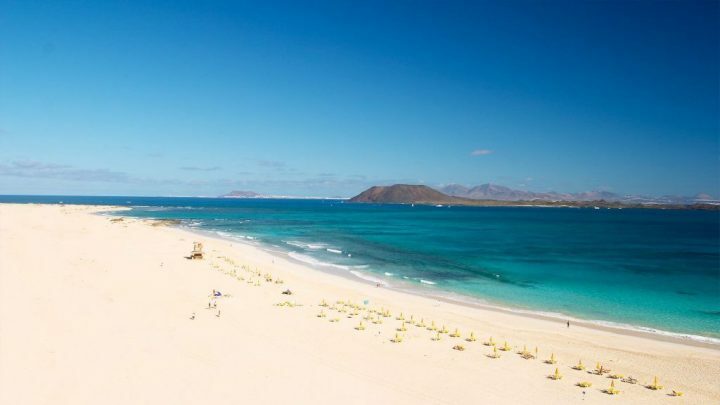 If you’ve left it to the last second to book your family getaway for the summer holidays but can’t decide where to go, read on for why Fuerteventura, in the Canary Islands, is the perfect place for a fuss-free family break! We’ve teamed up with popular travel retailer, On the Beach, to give you the low-down on why Fuerteventura is one of Britain’s most loved holiday destinations. With its year-round toasty climate, travelling to Fuerteventura will feel as though you have reached the tropics. With four different resorts to choose from, Fuerteventura caters for a wide range of needs. Whether you’re a couple looking for good food and a relaxing beach or a family looking for great activities, you’re sure to find your perfect holiday in Fuerteventura. Enjoy some family time at Acua Waterpark or take in the breath-taking views of the golden sand dunes. Relax on the endless stretches of white sand beaches or dance the night away at the discos and bars. With all of this and even more to enjoy, take life’s lemons and make a holiday to remember. Over 300 days of sunshine and temperatures rarely outside of 18 and 27 degrees Celsius. Fuerteventura has four main resorts: Caleta De Fuste, Corralejo, Costa Calma and Playa De Jandia. 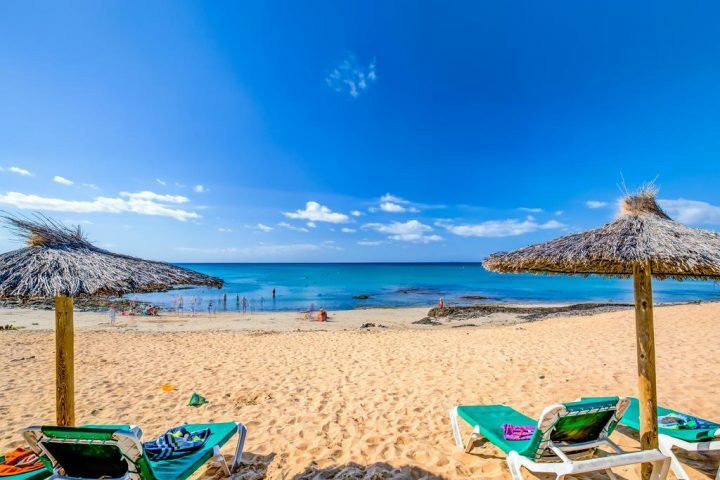 Located centrally on the eastern side of the island, Caleta De Fuste is one of Fuerteventura’s major tourist towns and is highly recommended for those seeking fun and relaxation. The sheltered beach here is a firm favourite with families and there is an array of restaurants to enjoy freshly caught fish on the local harbour. Corralejo is the biggest tourist resort on Fuerteventura and is jam packed with must see attractions and activities. Perfect for families with a nearby waterpark with a variety of flumes, slides and pools to keep the kids entertained and plenty of shops and restaurants in the town for the parents to wind down after a fun-filled day. Parque Natural de las Dunas de Corralejo is home to acres of golden sand dunes, a must-see for enthusiasts. Couples could enjoy taking a boat trip to the little deserted island of Lobos and enjoy a stroll around the island and a romantic meal at its rustic restaurant. The clue’s in the name, if you’re after a relaxing but fun destination, Costa Calma is the place for you. With crystal clear waters and white sand beaches, Costa Calma has some highly regarded beaches perfect to unwind and relax. The town has a thriving Sunday market where you can enjoy browsing local crafts or sampling delicious food. Playa De Jandia used to be a fishing village located on the southern coast of the island and is perfect for those looking for an action-packed holiday. With activities such as fishing, windsurfing and shopping, Playa De Jandia is sure to keep you busy. Happy holidays, send us a postcard!